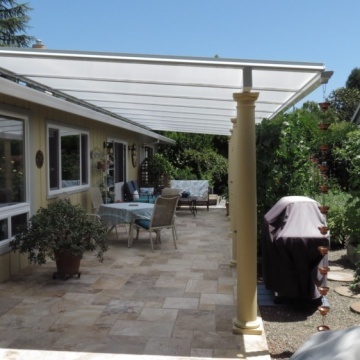 Our team is highly skilled and has years of experience building Sunrooms, Patio Covers and Awnings in Sonoma County and surrounding areas of Northern CA. Most of all: we love planning, designing, and building and care about your project. We bring value to every interaction, and our customers love all the options we provide. Sonoma County Sunrooms are wonderful people to work with. 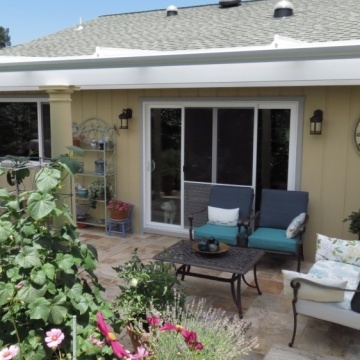 The employees of Sonoma County Sunrooms do not pressure you into getting something, and they make sure you get what you are looking for. They are highly reputable, customer oriented, they make sure that you are totally pleased with what you got and the work they did, and they deliver on time. I would recognize everyone I talked too and everyone that worked on the site. They were very good and very professional. The customer service was great! Very accessible and answered all questions. The whole team was very nice to work with. I would recommend Sonoma County Sunrooms to everyone. Getting started on this project was so easy when working with Paul. The persons working at the office are also so nice and friendly. The crew that the company has doing the work on the sunroom were great people, knowledgeable, worked hard and did a great job. I had a custom built deck cover built by SOCO Sunrooms last November 2017. I was more than thrilled with the work. Daniel was very professional throughout the entire job and very attentive to any changes I might want. Jenny at the office was delightful to talk with and continued to check with me throughout the following year to make sure I was satisfied with everything after the rains. I can definitely highly recommend this wonderful company! 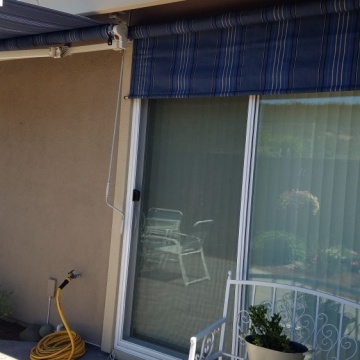 Sonoma County Sunrooms was very helpful for me when I was trying to find my replacement parts and get it applied to my existing awning. He also helped me secure it for the weatherproofing I already had on hand, he went above and beyond what was expected of him for the particular job. He did not charge me any extra for the little bit he did for weatherizing it. 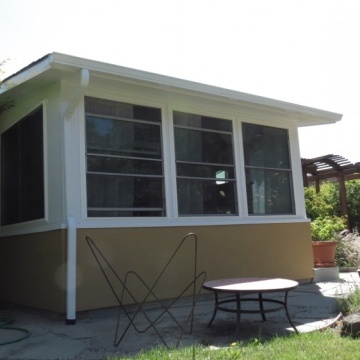 I am very happy with the job Sonoma County Sunrooms did on my house! The service was fast, easy, and on time. Everyone was super polite and professional. Works great & looks great. Great people & great product. They did a fantastic job! They did everything exactly the way they said they would and it came out absolutely perfect. We are very pleased with our sunroom. 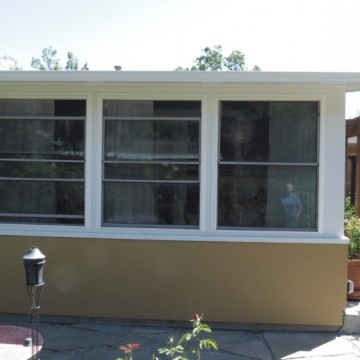 Sonoma County Sunrooms did a great job. They were great with resolving some small issues we had. Wish I could give more that 5 stars! Complete satisfaction & excellent in every way. Thank you. They had a very thorough sales force. They made good choices of styles and fabrics. 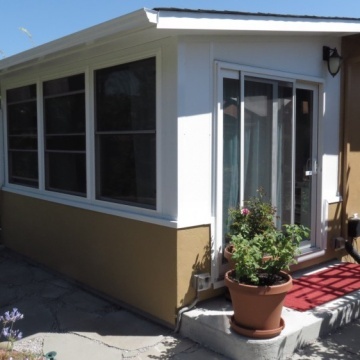 Sonoma county Sunrooms customer service was the best, as well as having a superior product. They were professional, timely and great to work with. Would highly recommend! We had some wrinkling difficulties with the awning material on our new SunSetter Awning. SunSetter sent a new replacement material three times but it still wrinkled. It became apparent that the type of material we ordered would not work well with the length of our awning. 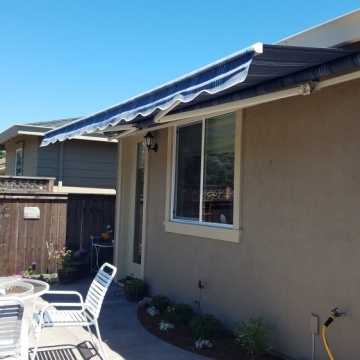 Sonoma County Sunrooms never gave up working with us and SunSetter and finally SunSetter agreed to provide a different kind of material at no additional charge, which has proven to work very well. 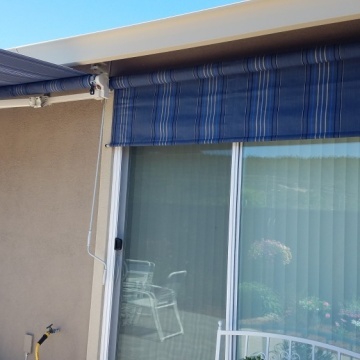 Throughout all of the installations of new awning covers, Sonoma County Sunrooms provided the labor for all of the various fabric removals and installations and the company and its employees made a valiant effort to make sure we were satisfied with our awning. 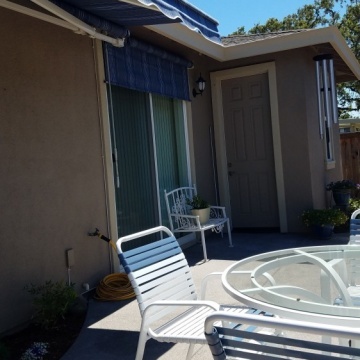 Sonoma County Sunrooms is a class act in every respect and I would definitely purchase from them again and strongly recommend their professionalism and service to anyone who might be thinking of adding an awning or a sun room to their home. I would give Jenny (my service contact) and Daniel, (our installer) a Five Star Plus rating. They were so easy to work with and it was stress free. I think they did an excellent job with what they had to work with here and I am enjoying my patio cover very much. David, the sales representative, was very courteous and interested in customizing our installation to meet our design vision. The workers were very respectful, polite and very creative in problem solving. The office staff is also very friendly and helpful. The people were very professional. I am very comfortable with the job. Thank you very much. 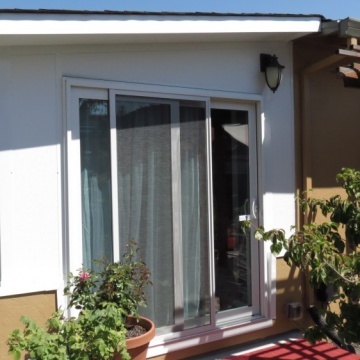 When you hire Sonoma County Sunrooms you'll get a quality product, capable and efficient staff, and an overall smooth, pleasant experience. They were always willing to go the extra mile. And they are committed to ensuring your sunroom is well made and legal—all the inspectors throughout the process spoke highly of the workmanship. 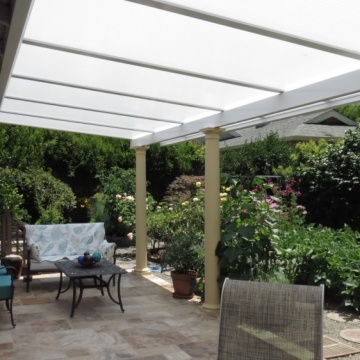 I have no hesitation recommending Sonoma County Sunrooms. We have a beautiful sunroom which has become our main sitting/activity room in the house. 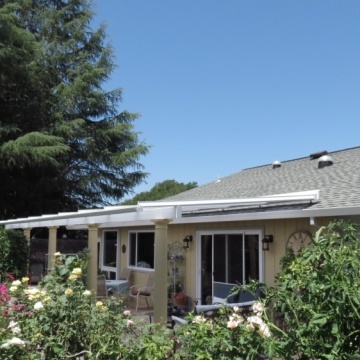 We were very happy and enjoy our Sonoma Sunroom every day. Sonoma County Sunrooms was wonderful and everyone was very polite. They did a great job.